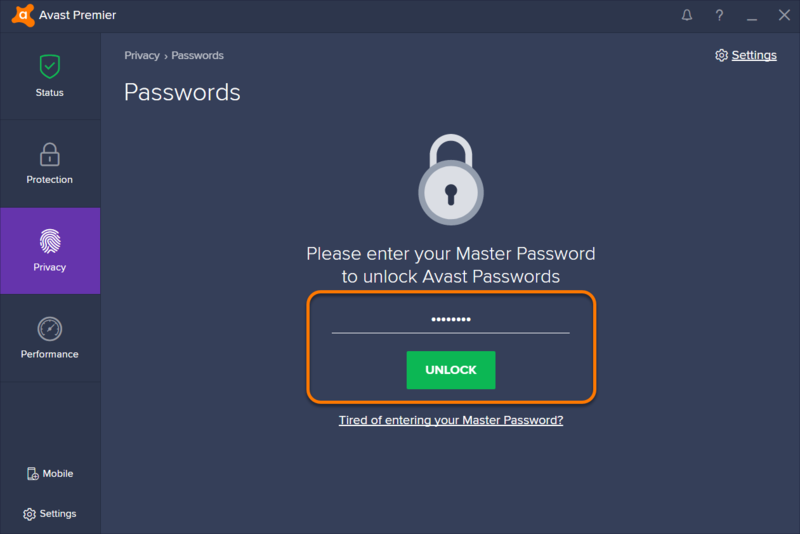 This article describes how to export your passwords data stored in Avast Passwords to the Google Chrome browser. 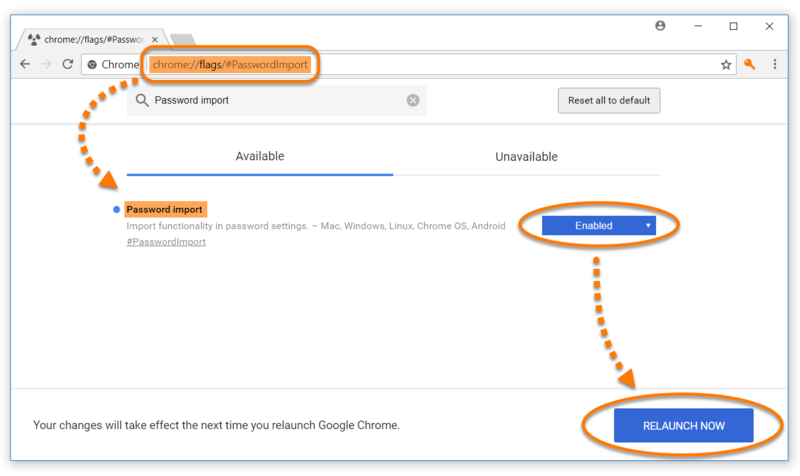 Go to Settings ▸ Import / export data and click Export next to Export to Google Chrome. 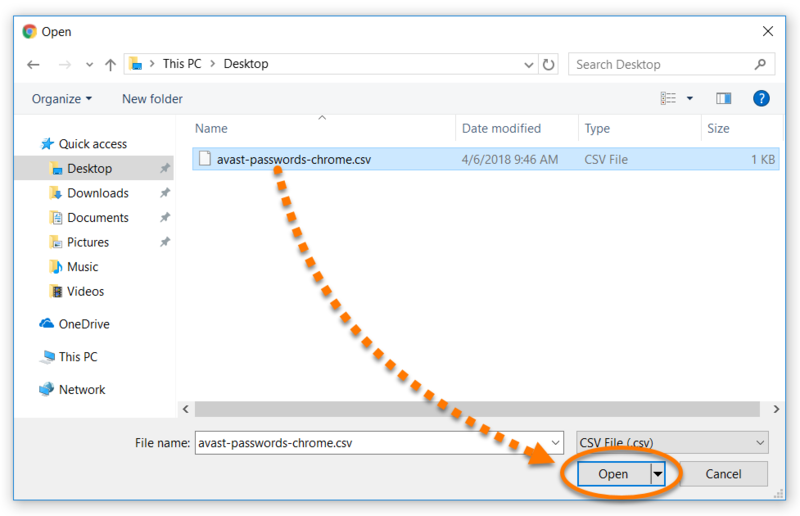 Select a familiar location to save the avast-passwords-chrome.csv file (for example, your desktop) and click Save. Open your Google Chrome browser and enter chrome://flags/#PasswordImport in the address bar. 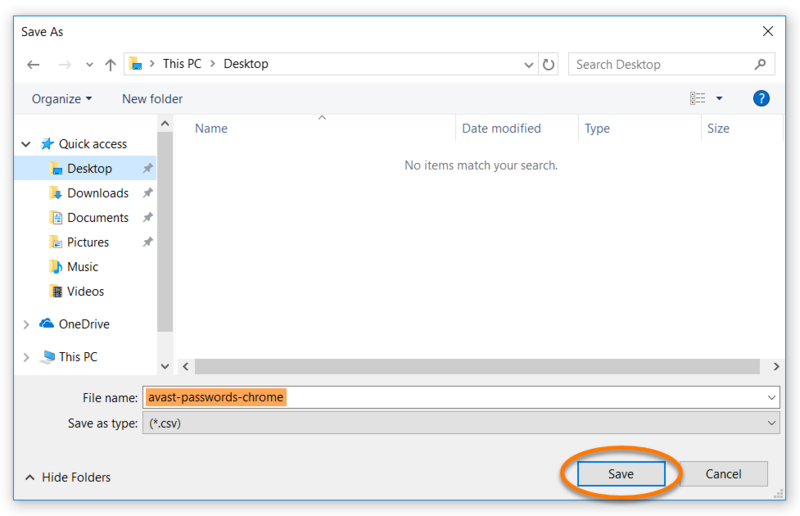 Click the drop-down menu next to Password import and select Enabled, then click Relaunch now to confirm changes. 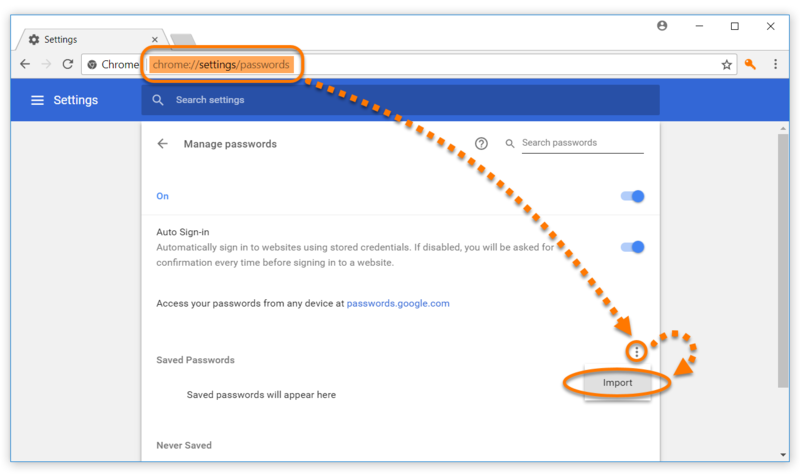 Once Google Chrome relaunches, enter chrome://settings/passwords in the address bar. 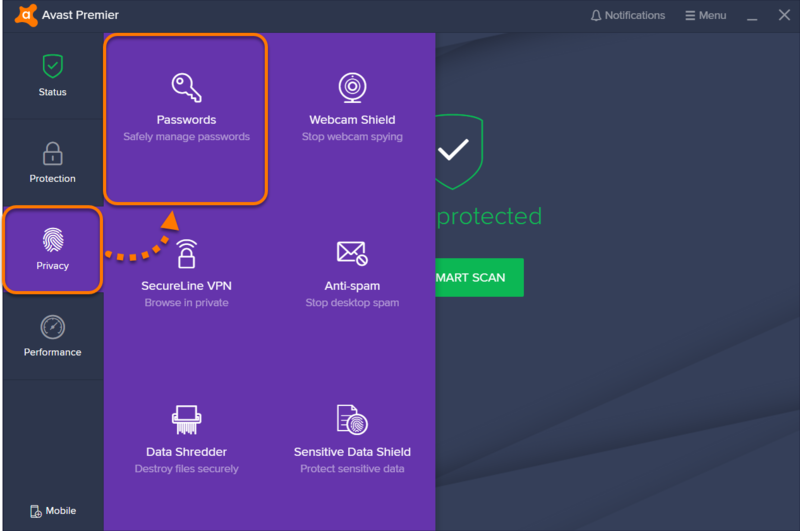 Click the ⋮ menu icon (three dots) next to Saved Passwords and select Import. 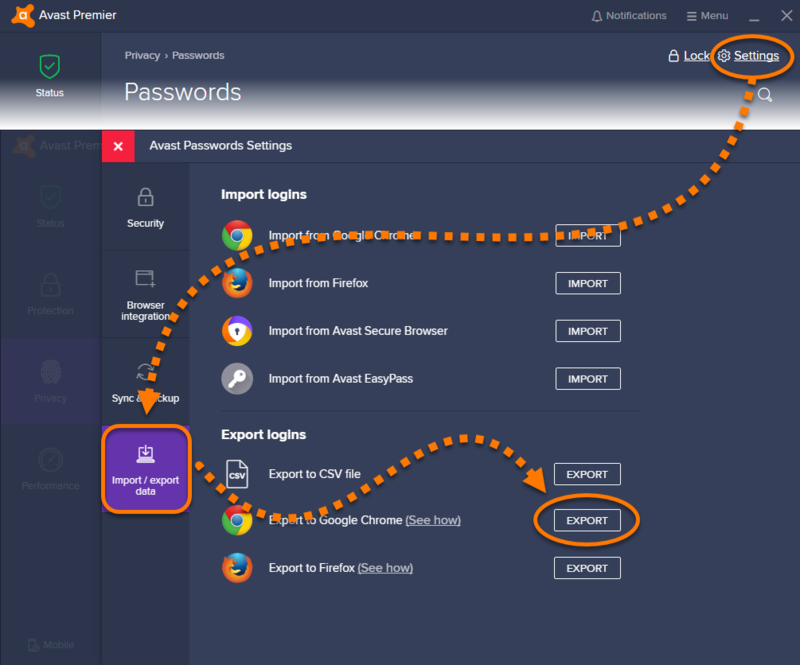 Locate the previously saved avast-passwords-chrome.csv file and click Open to import your passwords to Google Chrome. Your passwords data has now been imported to Google Chrome.